Montgomery, Mo - For the second year in a row the Mexico Bulldogs snuck by the Shamrocks to win the Montgomery County Tournament for the third year in a row. Last year, New Haven faced Mexico in the simifinal game only to be defeated on a last second shot 34-31. 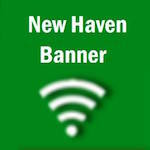 Complete game summary and Coach Ray Steinhoff's reaction after New Haven was handed their first loss of the season to come.